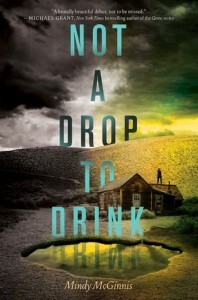 Mindy McGinnis’s NOT A DROP TO DRINK satisfied all my interests in a novel about an apocalyptic world. First, she creates a believable reality wherein water is worth killing over. Then, she channels Jack London and Gary Paulson with her smart scene crafting, setting her main character Lynn up with just the right amount of skills to survive without being perfect. (then she outdoes London, in particular, by giving us a reason to hope, without having Lynn discover the cure for cholera and water shortages). Basically, I enjoyed everything about this book because McGinnis refuses to succumb to cliches. Anything can happen in this book -- both bad and good. 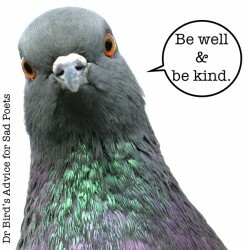 But the cast, especially Lynn, her mother, and Stebbs, is well written, flawed, and real.